Everyone likes it when their tools and accessories are well organized and within easy reach. This helps promote convenience, which in turn allows you to have an easy time at work site. While there are numerous ways to store and organize your tools, parts, and accessories, the use of a portable tool box is proving to be the most reliable and arguably the best. Well, portable tool boxes are specially designed for storing tools in an organized and convenient manner. They have handles and wheels, which make them easy to move from place to place. A good number of them also have numerous compartments and drawers, so they can accommodate all of your tools. If you are a technician, contractor, electrician or DIYer, a portable tool box is a must-have. But before you decide to go for one, we advise that you have a look at our top 10 best portable tool boxes reviews. Keter is one of the leading manufacturers and marketers in the world. Therefore, it comes as no surprise that they are behind the Keter Masterloader Portable Tool Box. Well, this unit keeps tools in an organized manner, thereby, making sure you are able to get them as quickly as possible. Organized interior: It maximizes the amount of available space. Tool divider: It ensures effortless compartmentalization of tools. Ball-bearing sliders: They allow full spread accessibility. Extendable handle: Makes rolling the tool box a breeze. Central locking mechanism: It promotes security. Sharp colors: They enhance the industrial aesthetic. Polypropylene resin construction: It is sturdy and resistant to chemical as well as fading. The overall dimensions of this portable tool box are 17.5 inches long by 10 inches wide by 24.5 inches high. The wheels, on the other hand, are 4.2 inches. Considering how this portable toolbox is made, it should be a frontier for you if you want to work on the go. It comes with a deep bottom compartment, two removable trays, and a total of 24 small parts to provide you with plenty of space for keeping your items. Cable hooks: They prevent extension cords from getting lost or tangled. Quality materials: The portable toolbox is made of metal and polypropylene. Rugged design: It keeps your power and hand tools safe and secure when you are moving around rough construction sites. 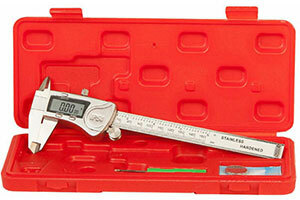 The Stanley STST18613 Rolling Workshop is designed for storing power tool accessories. Ideally, each of its parts is stand alone, meaning it will help promote the much-sought-after convenience. Whether you are a DIY enthusiast, plumber or electrician, this tool box is for you. Removable tray: It ensures larger space, so you can store larger tools underneath. Removable organizer: It is for keeping small parts organized. Telescopic handle: Helps you come up with customized handle lengths. Portable design: Makes it easy to transport or store the tool box. Large wheels: They make mobility quick and easy. Stand alone units: They promote convenience and help enhance the performance of the tool box. Built with convenience in mind, the BOSTITCH Rolling Tool Box (BTST19802) can be separated into two parts, which are a bottom that has a drawer with ball bearing slides and a tool box that features a drawer with a ball bearing slide. Furthermore, this portable tool box is loaded with numerous features, so you can get the most out of it. 7-inch full rubber wheels: They make the tool box easy to roll. Heavy-duty ball bearing slides: They make the tool box super easy to operate. 70-pound load capacity: It enables the tool box to carry as many tools as possible. You need to keep your tools and parts in a tough, durable tool box. And the DEWALT DWST08204 Extra Large System Case is the unit to go for. It is designed for technicians, contractors, and electricians who need to make sure their tools are within easy reach all the time. Sturdy construction: It enables the tool box to carry up to 110 pounds tools and parts. Central locking mechanism: It allows you to attach the unit to the carrier. Side latches: They make it easy to stack the unit to other ToughSystem units. Inner vertical storage: It is ideal for storing hand tools. Side handles: They allow you to carry the tool box from one place to another. Integrated water seal: It protects contents and promotes superior durability. Durable, versatile and secure, the Stanley 037025H Mobile Chest should be a frontier for you. It is manufactured and distributed by Stanley; one of the world’s leading manufacturers of tools and parts. When assembled, it measures 34.25 inches deep by 20.47 inches wide by 18.9 inches high. Enormous capacity: Allows you to store as many tools as possible. Heavy-duty wheels: They make mobility quick and easy. Large pull-out wide steel handle: It has a soft grip for effortless maneuverability. Lockable design: Makes sure the contents you are carrying are secure. Limited lifetime warranty: Protects against manufacturer’s defects and workmanship. Large metal latches: They are nickel-plated for optimum performance. Wide work surface: Enables you to carry out various tasks on top of the tool box. If you are looking for a unit to help you keep your tools organized at home or at work site, look no further than the Trinity 3-in-1 Suitcase Toolbox. This portable rolling tool storage comes equipped with features that make storage of tools and parts a breeze. Telescoping handle: It makes maneuverability quick and easy. Rubber wheels: They are for optimum mobility. Bottom compartment: It offers extra storage capacity. Two slide-out drawers: They make it easy to access tools and accessories. Removable tray: Helps promote convenience and performance. Lock holes: They make it easy to lock the tool box. Stainless steel construction: It is durable and aesthetically pleasing. DEWALT is a reputable manufacturing company that produces top quality products at affordable prices. Well, one of these products is the DEWALT DWST17806 TSTAK VI Box, which is designed to help you store your tools in a more organized manner than ever before. Limited lifetime warranty: Protects against original defects. Fixed dividers: They help organize drills and bits. Durable side latches: They enable you to stack all units underneath. Flexible platform: It allows for different compartments. Additional bi-material handle: It makes it easy and comfortable to lift the unit. Heavy-duty hinges: They are built for optimum durability. Removable tray: It allows you to access essential tools quickly and easily. Store all of your tools and accessories in an organized manner with the Best Choice Products Portable Tool Storage Box. It is an innovative tool box that has numerous drawers to help you stay organized when you are at the work site. Side handle: It allows you to easily move the unit from one place to another. 4 Omni-directional wheels: They make it easy to move the unit around. Lock and keys: They provide security when you are away. Foam material: It is in drawers and trays, and it helps absorb oil. Drawers and trays: They help keep your tools in place. 2-piece tool chests and cabinets: They enable you to use them together or separately. Requires some assembly, though, there are instructions to make this a breeze. Getting a top performing plastic tool box can be a herculean task, and that’s why Stanley is more than happy to bring you the 1-79-206 Rolling Workshop. It measures 86.6-by-48.8-by-34.8 cm and comes with everything you need to ensure optimum storage experience. Aluminum telescopic back handle: It ensures quick and easy elevation. Heavy-duty 780mm wheels: They allow for easy on-site maneuverability. Detachable containers: They provide customized storage options. Better grips and locking mechanism: They enhance the performance of the unit. Heavy-duty ball bearing slides: They offer a quality drawer sliding system. Black appearance: It matches any industrial aesthetic. Bottom flip bin: It has a back pocket for keeping long tools. Can be used in any setup e.g. hospital, home, office, worksite etc. Portable tool boxes have made work much easier. They are easy to move from place to place, and they offer a convenient way to keep tools organized. Best of all, a good number of them are within an affordable range, meaning getting a top quality one should be hassle-free. Wait no more and grab one from the above compilation!